More Indy set pics and Speed Racers too! Eurobricks always has pictures of new sets long before they’re out. 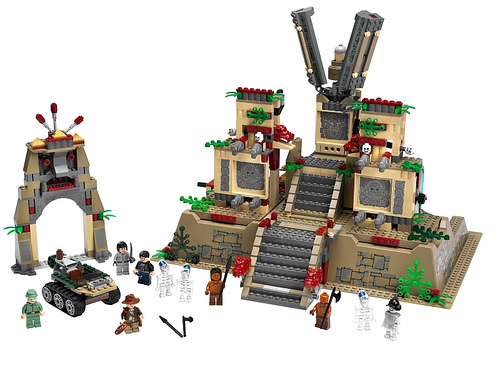 Here’s a gallery of some of the new Indiana Jones sets and Speed Racers too. I am already loving the temple and the windshield piece on the racers. That’s the $90 IJ set? That is terrible! Anyone remember the last Adventure temple set? That was $90 and is an amazing set. I will surely buy some of those from BrickLink. spiders, sawblades and weird heads, oh my! These sets do not have Nazis, they are Russian. 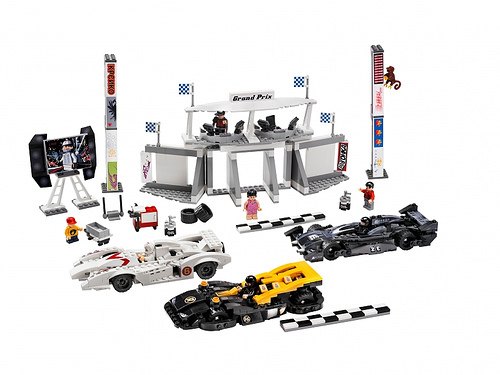 Oh man, those Speed Racer sets are right up my alley – large & in charge! Pingback: blogdebrinquedo.com.br » Blog Archive » Os Novos Sets LEGO Speed Racer!